The Fender Lead series electric guitars were manufactured from 1979-1982. They was produced in Fullerton, California factory under the direction of Greg Wilson and John Page. In 1979, Fender introduced the Lead I. The Lead I had a only one pickup, a humbucker in the bridge position. The Fender Lead series models all had the 25 1/2 inch scale length Â of a Fender Stratocaster and Â all Lead models were available with either maple or rosewood fretboards. The Fender Lead I controls are unique. There is a 3 position pickup selector switch (Neck pickup, Neck & Bridge parallel mix, Bridge pickup) a phase switch, a master volume control, master tone control. The volume and tone potentimoters are 250k and the tone capacitor is 0.05 uf ceramic. The Fender Lead I was manufactured until the end of the Lead series in 1982. The price of a Fender lead I in 1979 was $399. Today a Fender Lead I in excellent condition sells for up to $1000. The Lead II was also introduced in 1979. It featured Two specially designed X-1 single coil pickups. The X-1 pickups were promoted as â€œwide range single coilsâ€ and are slightly hotter than a standard Strat of that era. 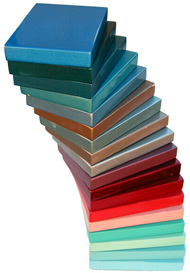 Both the Lead I and Lead II were normally finished in either black, wine red or brown. Today a Fender Lead II in excellent condition sells for around the same price as the Lead 1. The Lead III was manufactured in 1982 only. It had 2 humbuckers. All of these guitars are becoming collectable now, as they are American made Fenders Â and the youngest are at least 25 years old, which gives them an intrinsic value. They are quite rare, but still affordable, so it it worth tracking them down and snapping them up when available. The Fender Electric XII was a purpose-built 12-string electric guitar, designed for folk rockers. 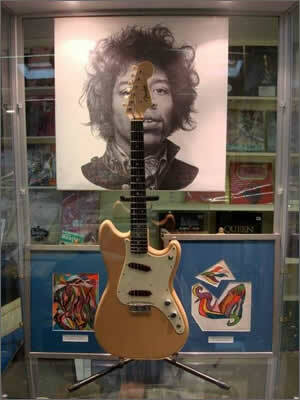 Instead of using a Stratocaster-body style, it used one with a Jaguar/Jazzmaster body style. It was also a departure from the typical â€œStratocasterâ€-style headstock, instead featuring a long headstock nicknamed the â€œhockey-stickâ€ headstock. The Electric XII used a unique split pickup design and had a 4 way pickup selector allowing for neck, neck & bridge in series, neck & bridge in parallel and bridge only options. 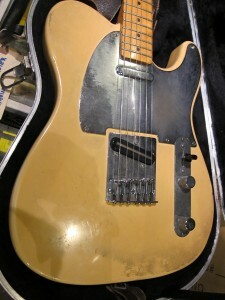 It also used a string-through-body design similar to a Telecaster to help increase sustain. Designed by Leo Fender, the Fender Electric XII was introduced in late 1965 with the bulk of the production taking place in 1966 before it was discontinued around 1970. Unlike its competitorsâ€™ electric 12-string models which were simply existing 6-string guitars with six extra strings, the Fender Electric XII was a purpose-built 12-string designed to capture a part of the folk-rock market. The headstock was a departure from Fenderâ€™s usual Stratocaster-style shape and is sometimes referred to as the â€œhockey stickâ€ headstock. Leo Fenderâ€™s bridge design for this model is elegantly simple, works extremely well, and is regarded by many as one of his best designs of the 1960s. The bridge has an individual saddle for each string making precise intonation possible. The design is also string-through-body which helps to increase sustain. 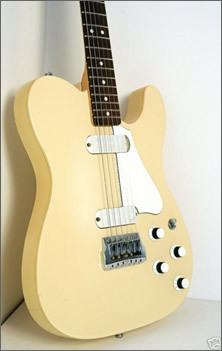 Other notable users of the Electric XII were Pete Townshend, who used it extensively on the album Tommy, and folk-rocker Tim Buckley. Johnny Winter also used one briefly (strung as a regular six-string) during the late 1960s and early 1970s. 1960’s models currently sell for around Â£2000-2500. Blues/Jazz guitarist Robben Ford merges styles to redefine the term â€œfusionâ€ music. His sound, delivery and conception are all his own â€“ as unmistakable and personal as a fingerprint. He chose a deliberate reinterpretation of the unusual Fender Esprit Ultra as the basis for his signature instrument (the Fender Robben Ford Signature model), which reflects Robbenâ€™s discriminating and diverse as both a soloist and rhythm player. Designed in the mid-1980â€™s, the Esprit effectively reconciled the differences between a blues, jazz and rock guitar, making it ideal for Robbenâ€™s varied musical tangents. He was originally drawn to the smaller body size, double-cutaway comfort and remarkable playability of the Esprit as an alternative to the larger, honky-sounding semi-hollow-body he had been playing. Though the Esprit was discontinued by the late 1980â€™s, Robben remained an ardent user. Approximately 25 years ago, Dan Smith had an idea. He conceptualized a solidbody guitar with routed chambers. These chambers would, in theory, provide a more resonant tonal characteristic. He also formulated and designed a basic shape for the guitar. Then, in the early 1980s, Fender became interested in producing and marketing instruments which would be viewed as alternatives to those offered by Gibson. These guitars would not be copies, of course, but highly playable guitars with versatile electronics and other features previously unavailable on instruments manufactured by Fender. The company asked Smith to submit a concept, and what followed was an adventurous effort to produce a new line of guitars unique to the Fenderâ€™s catalog. The line was called the Master Series. Two of Smithâ€™s designs were solidified â€“ the Flame and the Esprit (pronounced espree). Both featured alder bodies with routed tone chambers, maple tops, and set-in necks. The Flameâ€™s body is slightly larger than a Gibson Les Paul, and features two slightly offset cutaways, similar to Gibsonâ€™s SG. 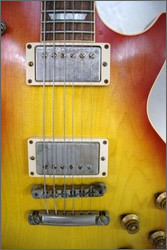 Two special-design humbucking pickups were developed via Schaller, as was a tailpiece with fine-tuners. The intention was to offer an electronically versatile alternative to the Gibson Les Paul. The Espritâ€™s body is slightly larger than the Flameâ€™s, and features two symmetrical cutaways. As with the Flame, two special-design Schaller humbuckers were employed in conjunction with the fine-tuning tailpiece. This instrument was intended as an alternative to the Gibson ES-335. These three designs were marketed together as the Fender Master Series. Once designs were approved, the company turned its attention to issues of manufacturing and production. Fender decided that, at that time, it did not possess the technology to build the instruments. 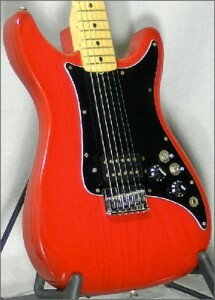 The Japanese company Fujigen Gakki (which served as an Ibanez facility) was contracted by Fender to manufacture the line. Fender ultimately decided to produce three models of both types. The suffixes Standard, Elite, and Ultra were added under the headings Flame and Esprit. Standards featured dot inlays and chrome tuners. The Elites featured diamond-flake inlays and pearloid-button tuners. And the Ultras had split-block shell inlays, ebony-button tuners and gold hardware. Finish options on the Standards were limited to black, autumn sunburst, and cherry sunburst. The Elite and Ultra were also available in white or pink frost, and candy red or candy green metallic burst. Smith said Fender offered the Kahler tremolo bridge as an option on these guitars. He recalls Fender made the modification post-production, and relatively few were shipped. He was unable to find records indicating quantities made, but estimated that between late 1983 and 1985, a few thousand were manufactured. In retrospect, Smith feels the guitars were successful in regard to quality and public perception. 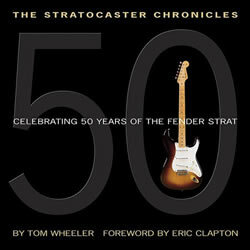 The lineâ€™s downfall was the sale and subsequent transitional period experienced by Fender. In 1986, Robben Ford was brought on as an endorser of the Esprit model, then Fender reworked the production concept and dubbed the guitar the Robben Ford signature model. In its incarnation as the Robben Ford signature model, it has retained many of the Ultraâ€™s significant features and deluxe appointments, as specified by Robben, including the Ebony fingerboard with fancy Mother-of-Pearl split-block inlays, Ebony tuning key pegs, multiple binding on the headstock, neck and body and gold-plated hardware. The solid Alder body with a carved Spruce top and built-in acoustical tone chambers is a clever variation on the classic solid-body construction theme of mahogany and maple and is a vital component in producing the rich and consistent sustaining Robben Ford solo guitar voice. Another is the two-humbucker pickup configuration which yields both a mellow, neck-pickup jazz sound as well as a robust, bridge-pickup blues-rock tone. The coil-splitting switch provides interesting thinner and twangier single-coil timbres ideal for rootsy rock and roll, R&B and funky rhythm comping. Current values of these rare and collectable guitars are in the Â£1500-2000 range. Fenderâ€™s Katana was a flop, selling barely any units in its 1986 one-year, lifespan, even when a cheaper and more basic Squier brand version was launched. 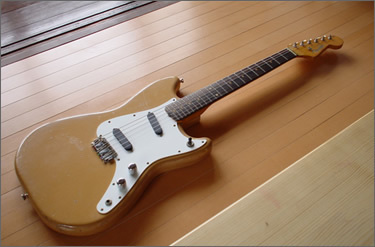 Another model was also launched to be made exclusively in Fenderâ€™s new Japanese factory, which also departed from Fenderâ€™s traditions- the Performer. This guitar resembled a Fender Stratocaster mixed with a BC Rich guitar, with a small, angular body and pointed horns. The unusual body and headstock shapes have been rumored to have originated in the shape of the scrap wood leftover from making Japanese Stratocasters. The body is small with a deep double cutaway. The tuning machines are found on the upper edge of the triangular headstock. The fretboard is two octaves and features a locking nut and jumbo frets. The bridge is a floating System I tremolo. Both bass and guitar are built to the highest level of quality and detailing. For example, the controls have inset rubber grips, the tuning heads have fully enclosed gears and the jack sockets are an enclosed, not ‘skeleton’, type, in contrast to many other Fender products with more ‘economy’ hardware. The Performer boasted two angled custom humbucking pickups with a coil-split function and a Floyd Rose-style locking tremolo. The guitar features a volume knob, a tone knob, a pickup selector switch (neck/both/bridge) and, most importantly, a coil tap switch which disables one coil of each humbucker, resulting in a guitar with two single-coil pickups. This is perhaps the guitar’s most famous and useful feature, as it can produce heavy, fat humbucker sounds as well as crisp, sharp, Strat-like tones. Both were discontinued in 1986 and havenâ€™t been made since. These two guitars are a little-mentioned and underrated point in Fenderâ€™s history. In 1985 Fender was under threat from rival brand Gibson, who offered a variety of very successful rock guitars (Flying V, Explorer etc. ), and companies specialising in pointy-shaped metal guitars, such as Jackson and Dean with the successful Randy Rhoads model and the ML, respectively. Fender were, at this time, one of the only major guitar brands without such a model in its range. Their attempt to muscle in on this profitable sector of the market led to two designs, the Performer and Katana you see here. The Katana and Performer were exclusively built in Fenderâ€™s then – new Japanese plant, built in response to much cheaper and nearly as good Japanese copies of Fenderâ€™s models. The Katana is vaguely Jackson Rhoads – shaped and was available as a Fender or a much cheaper and more basic Squier version. The Fender version had a set neck, two humbuckers and a locking tremolo, whereas the Squier has a bolted neck with only 21 frets, one humbucker and a standard trem. Squier versions are slightly less hard to find, but neither are common. The Fender Katana was a commercial flop, and was only made from 1985 to 1986. All versions are very rare, and Fender versions are likely to be over Â£500 on the rare occurrence of one being put up for sale. Squier versions are much less expensive, due to the less elaborate construction and less expensive hardware, but donâ€™t expect a search for either to be over quickly. Fender have since stuck to making their standard iconic models, the Stratocaster and Telecaster among others. The Fender Japan factory is still in use for making cheaper Fenders than the American and Mexican ranges.